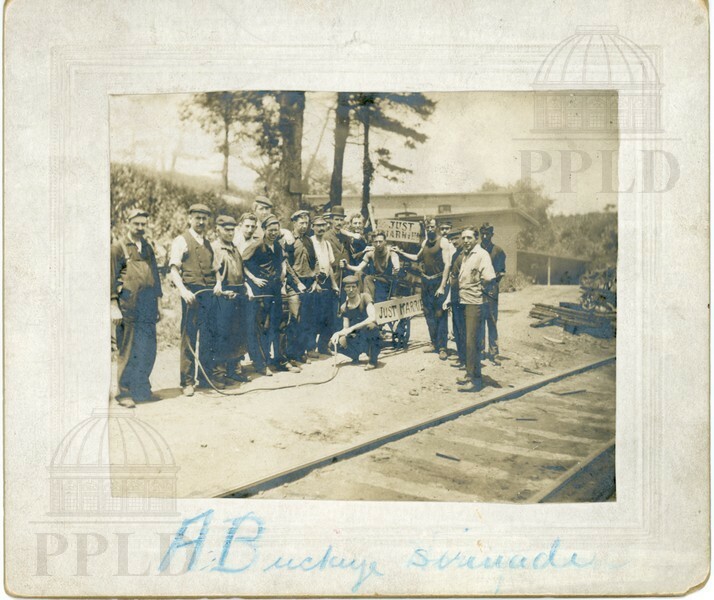 "A Buckeye Serenade" employees of Buckeye Works. 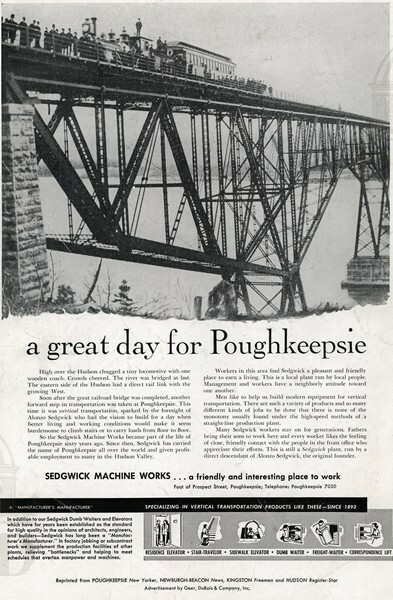 "A Great Day for Poughkeepsie"
Reprint from the Poughkeepsie New Yorker/advertisement for Sedgwick Machine Works. 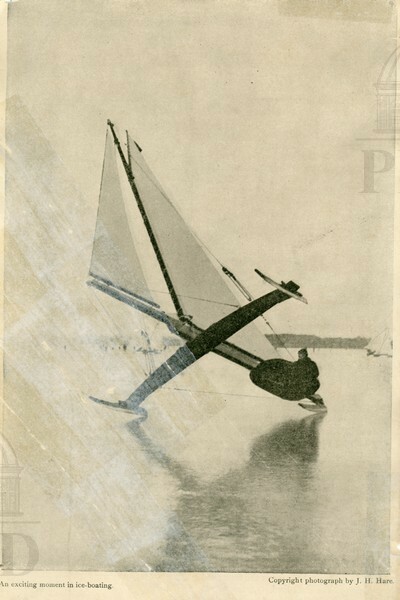 "An Exciting Moment in Ice-Boating"
A snapshopt of an iceboat racing along the frozen Hudson. 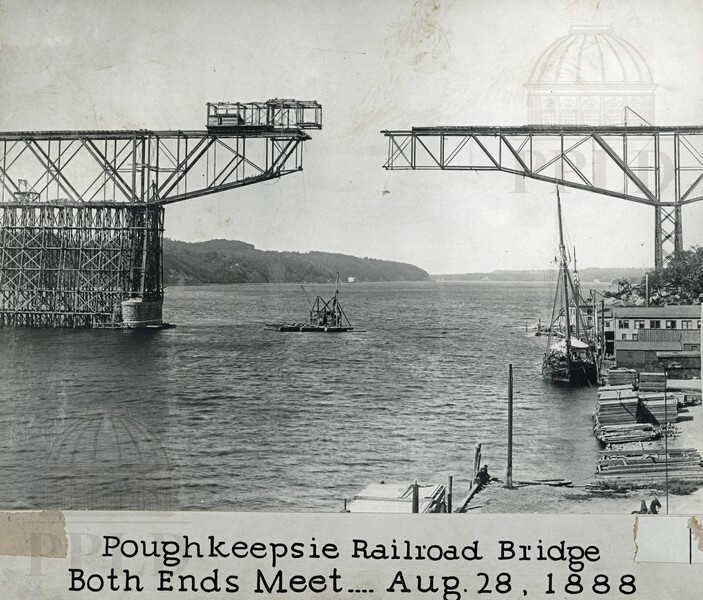 A view from the cables, prior to roadway construction. 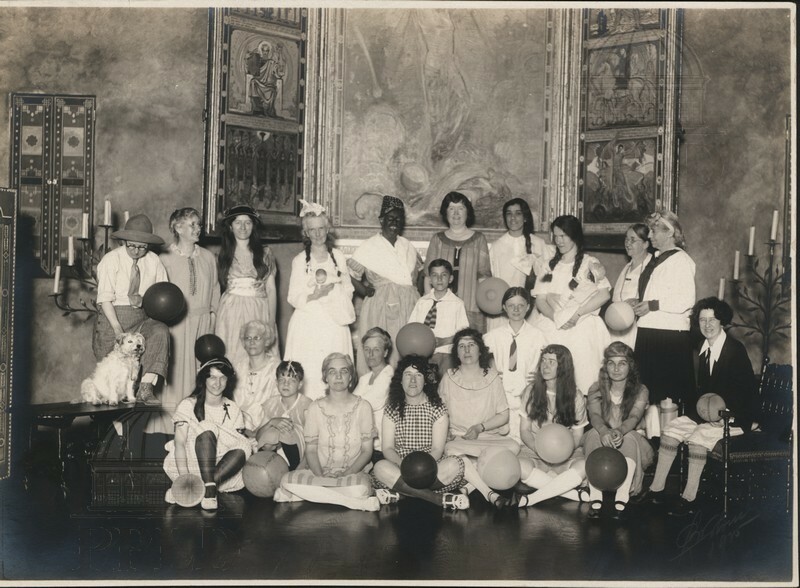 Group portrait of the guests at Lida Little's "Children's Party." 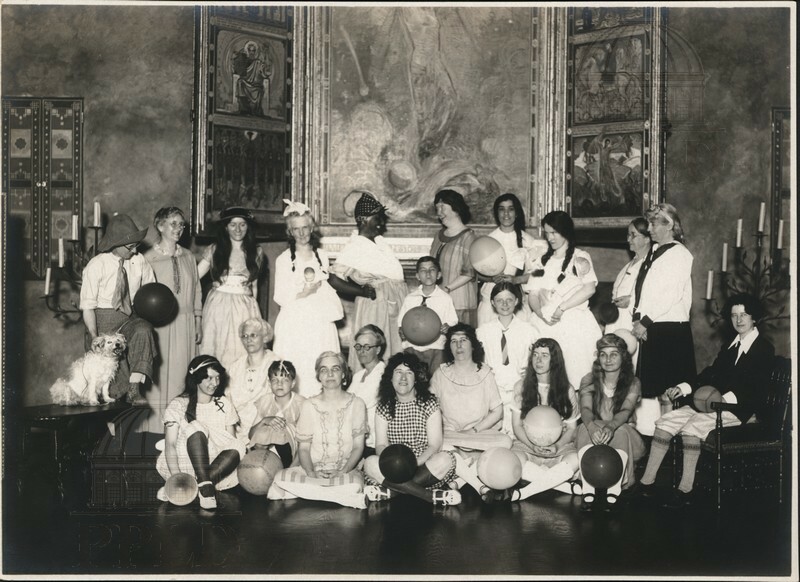 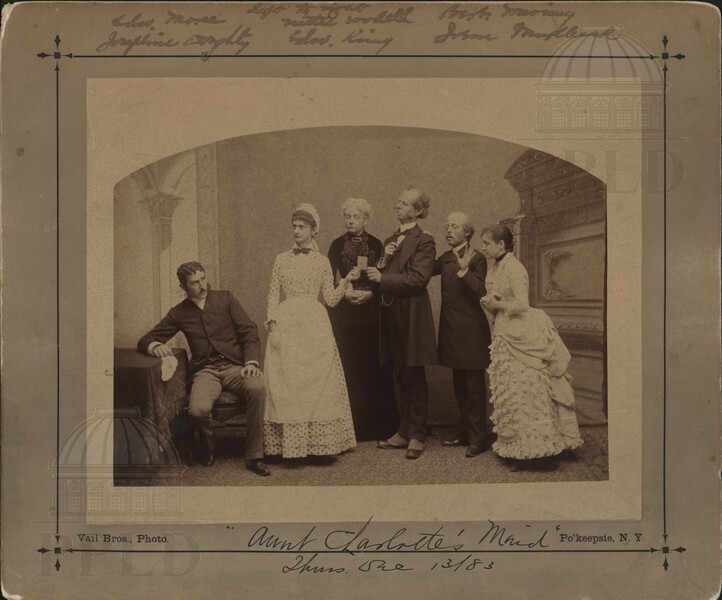 The cast of the play, in costume. 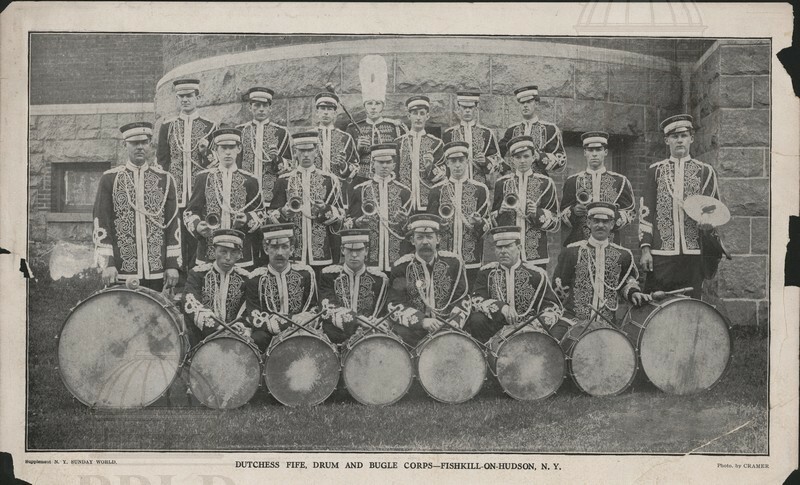 "Dutchess Fife, Drum & Bugle Corps"
Group portrait of the Fife, Drum & Bugle Corps. 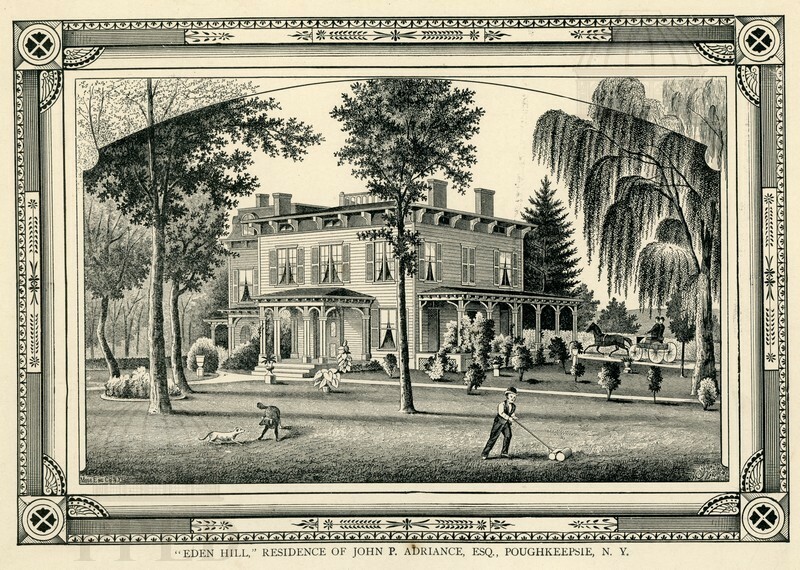 Residence of John P. Adriance, Esq. 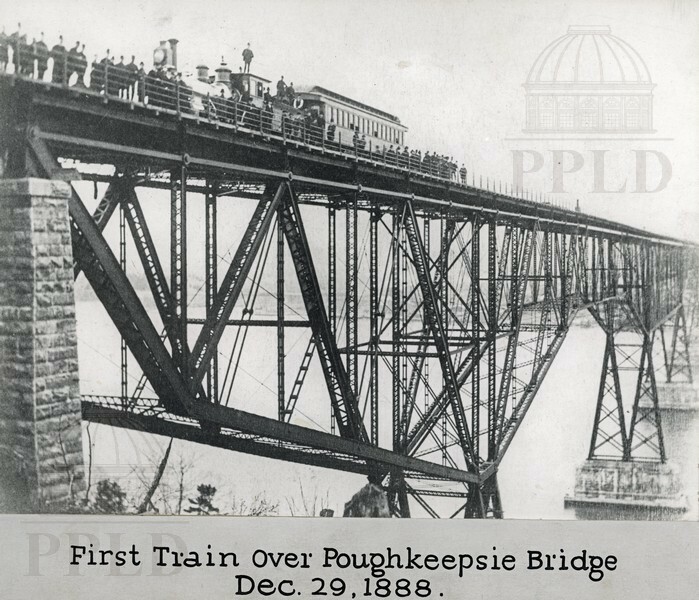 "First Train Over Poughkeepsie Bridge"
The first train over the bridge. 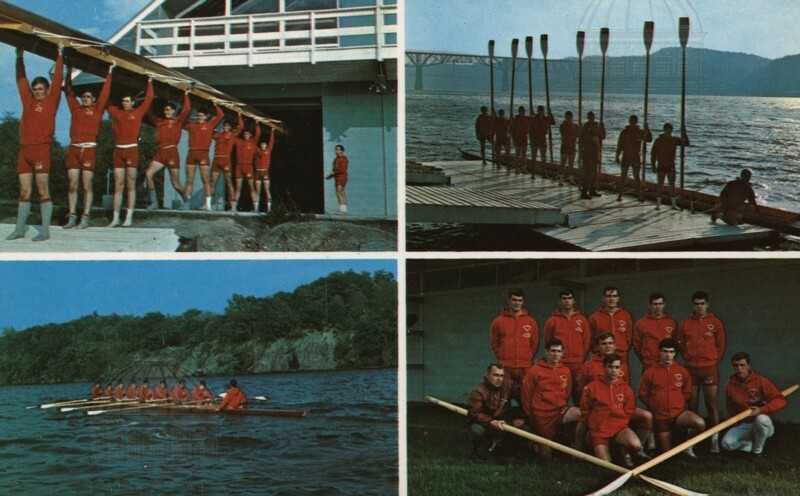 "Great Five Mile Rowing Match for $4000 & The Championship of America." 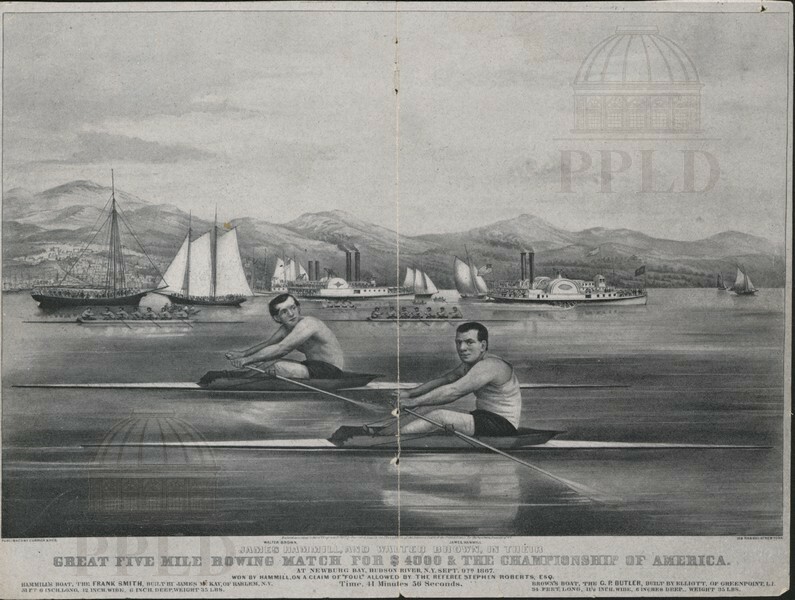 Illustration depicting the race between Walter Brown (left) & James Hamill (right). 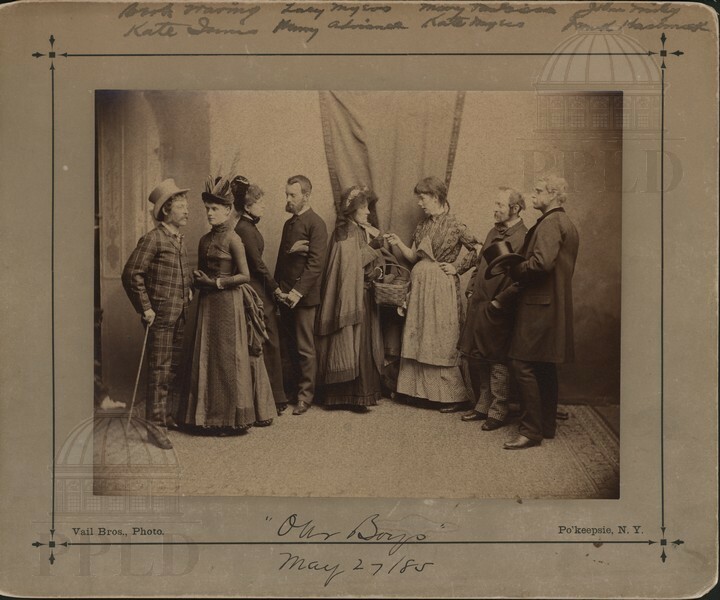 Race was won by Hammill, 'on a claim of "foul" allowed by the referee Stephen Roberts, Esq.' 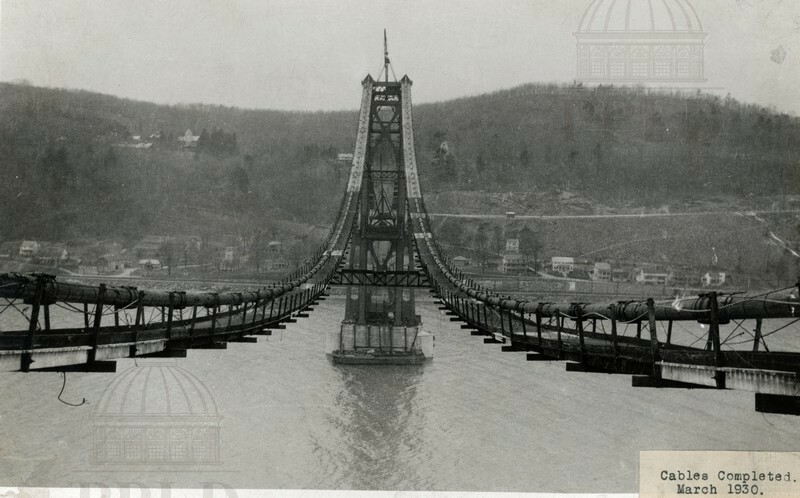 Time: 41 minutes, 56 seconds. 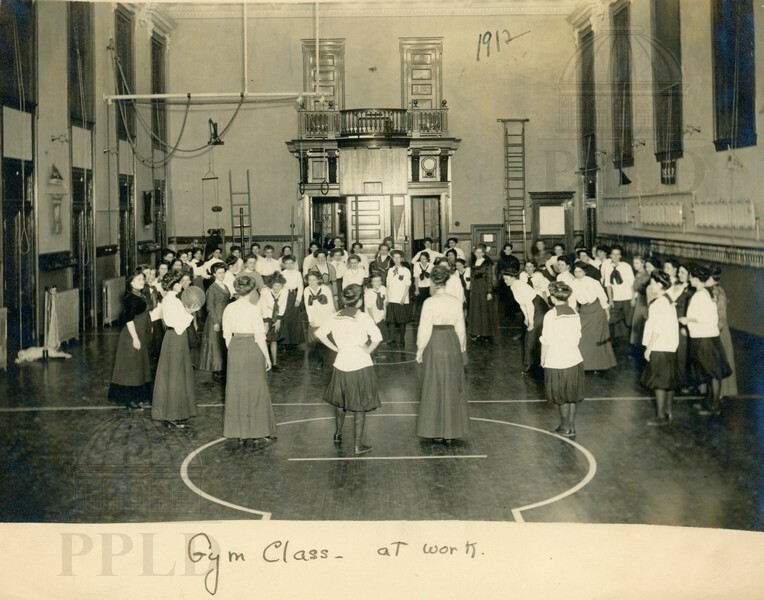 "Gym Class - At Work"
YWCA Cannon Street gym class. 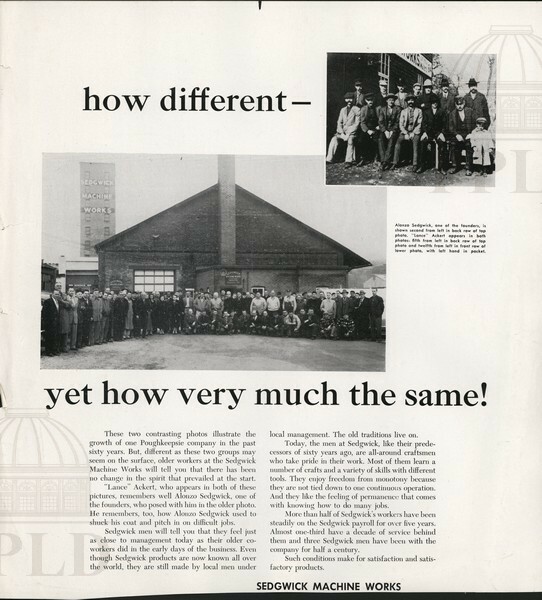 "How Different - Yet How Very Much the Same!" 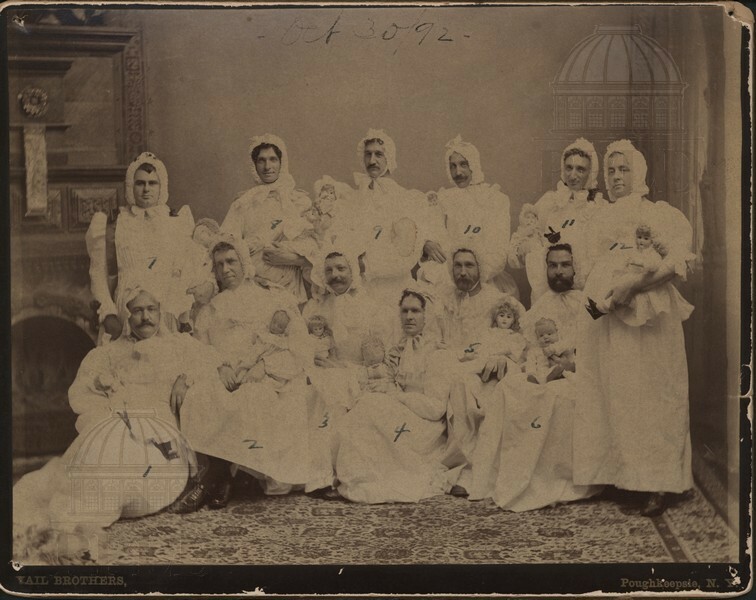 Group portrait of Sedgwick Machine Works employees. 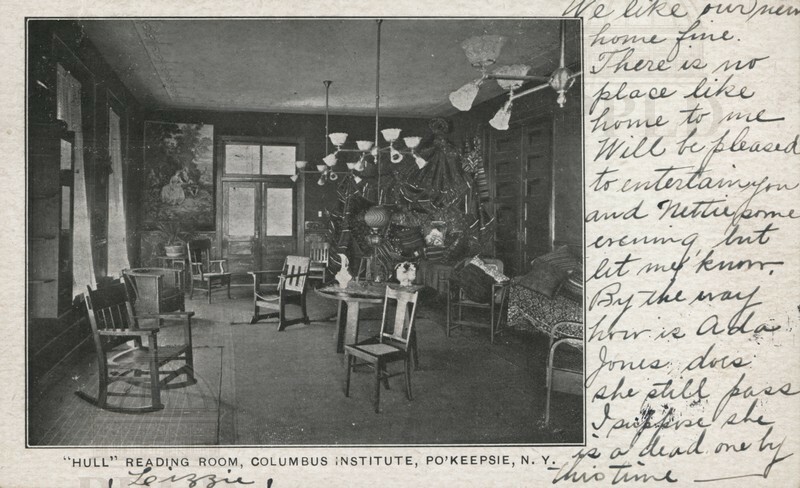 "Hull" Reading Room, Columbus Institute, Po'keepsie. 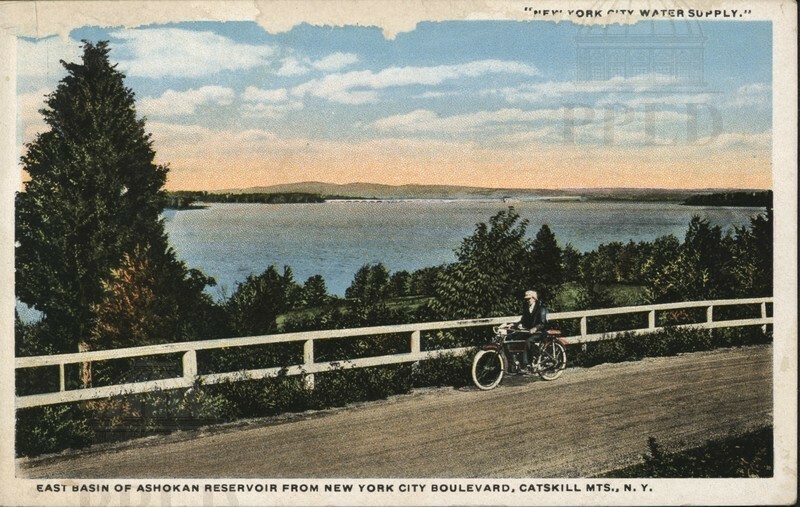 Color-tinted photograph of the Ashokan Reservoir, with a bicyclist riding past in the foreground. 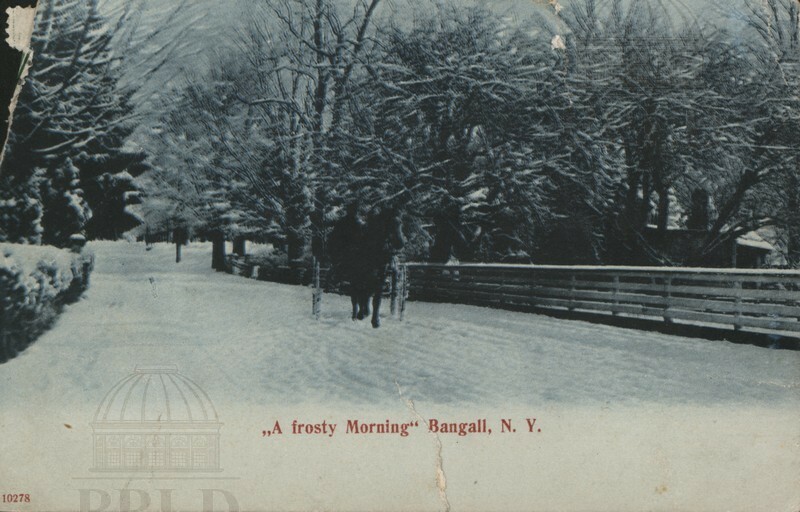 Text reads: "East basin of Ashokan Reservoir from New York City Boulevard, Catskill Mts." 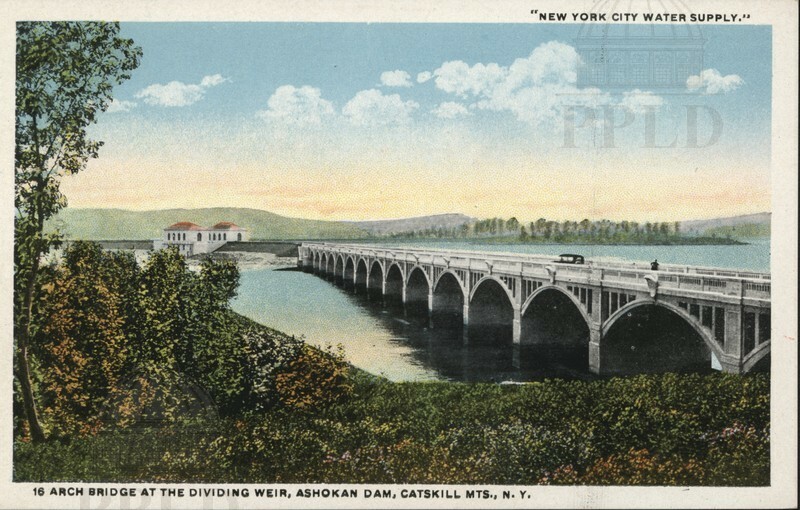 Color-tinted photograph, text reads: "Arch bridge at the dividing weir, Ashokan Dam, Catskill Mts." 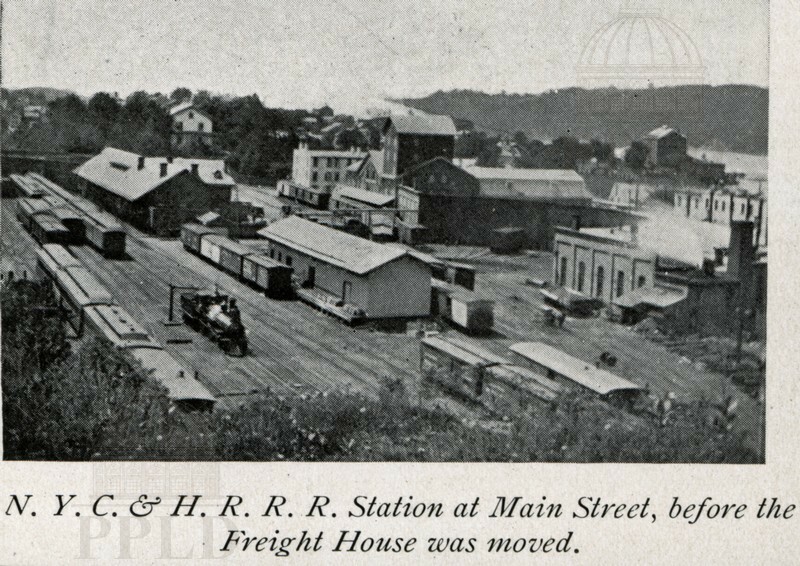 On Main Street before the Freight House was moved. 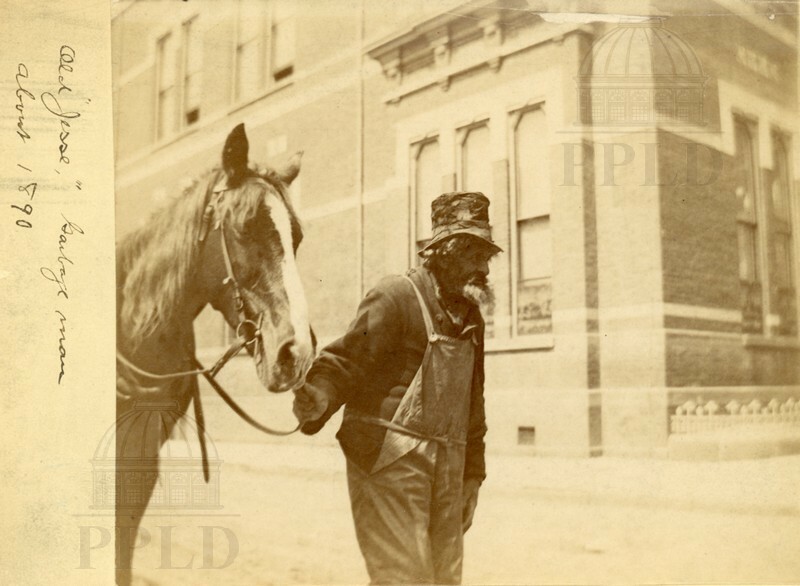 "Old Jesse - Garbage Man." 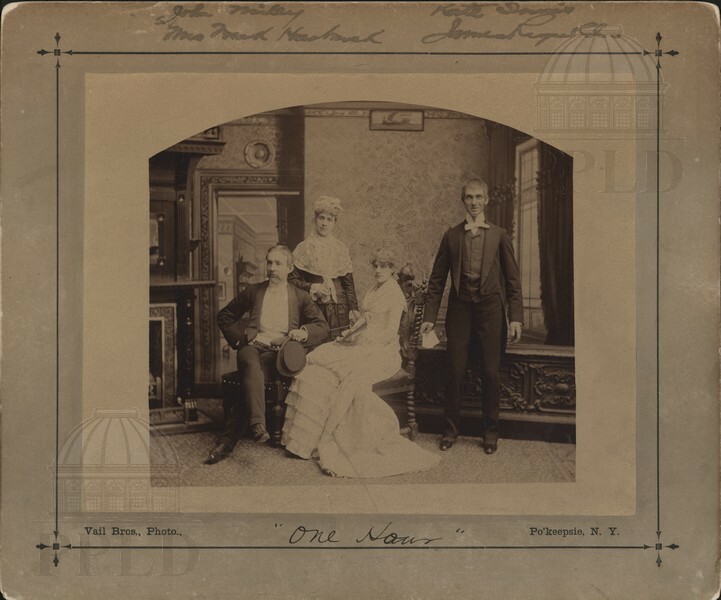 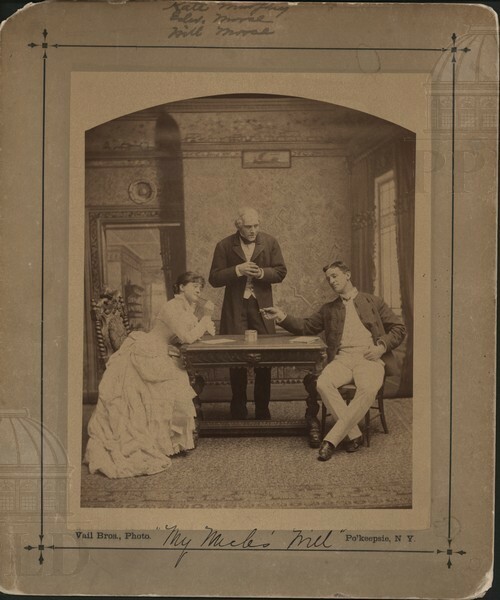 Publicity photograph from the play, possibly a community theatre production. 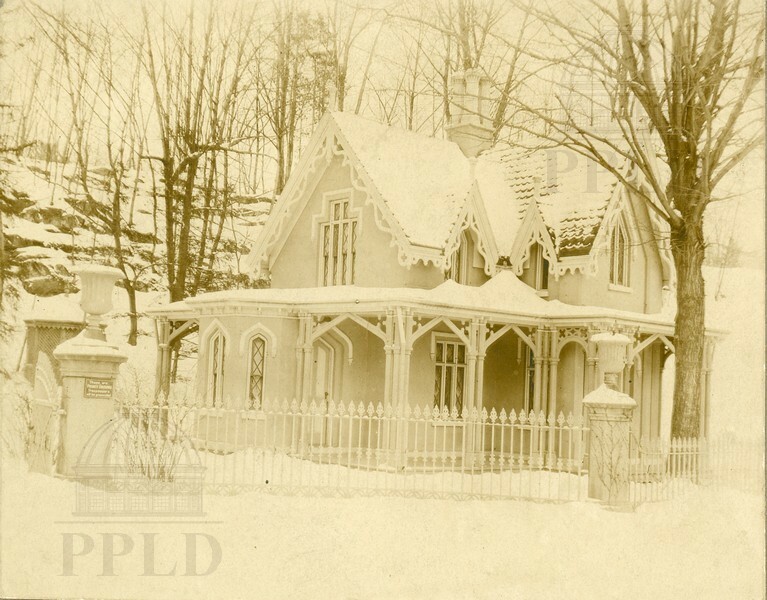 Mrs. Miller Gate House. 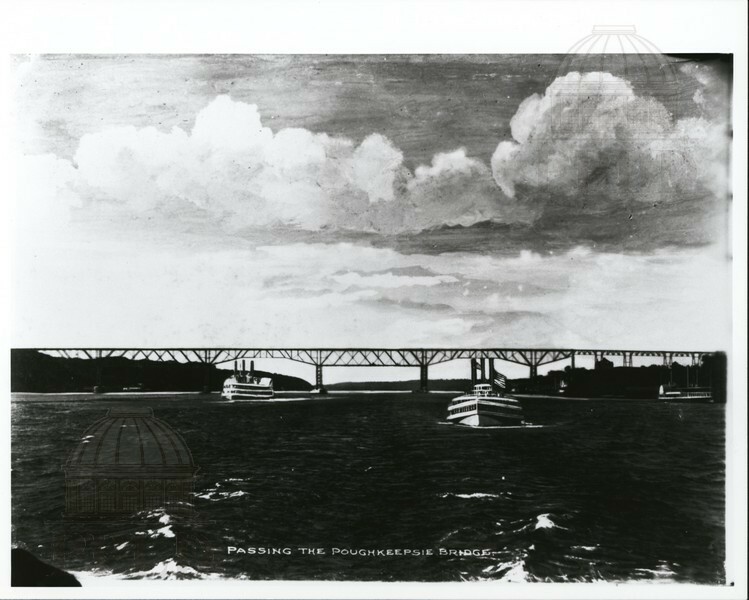 Designed by Andrew Jackson Downing. 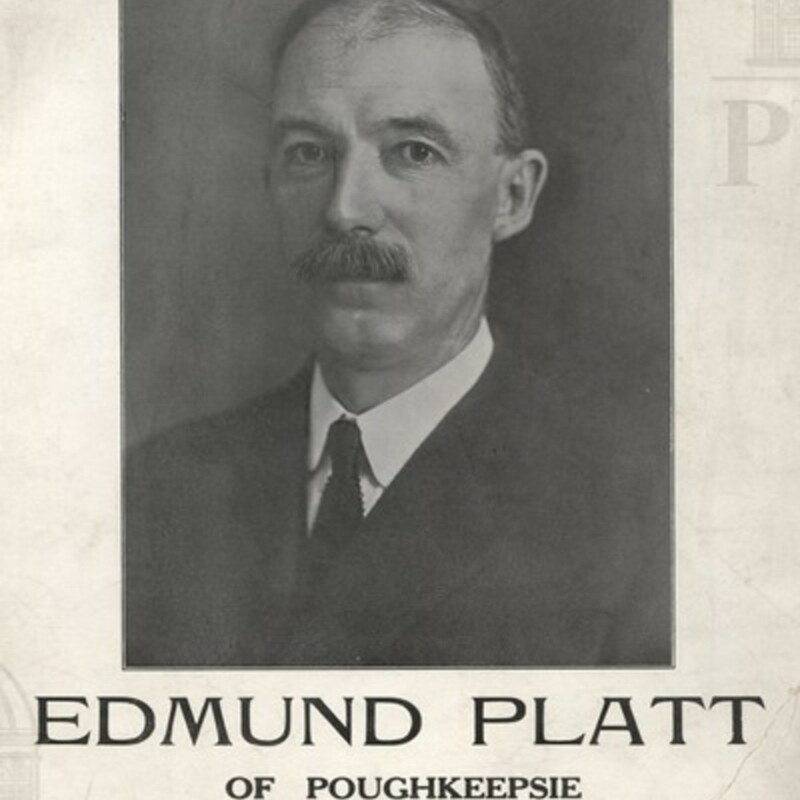 Route 9/Albany Post Road. 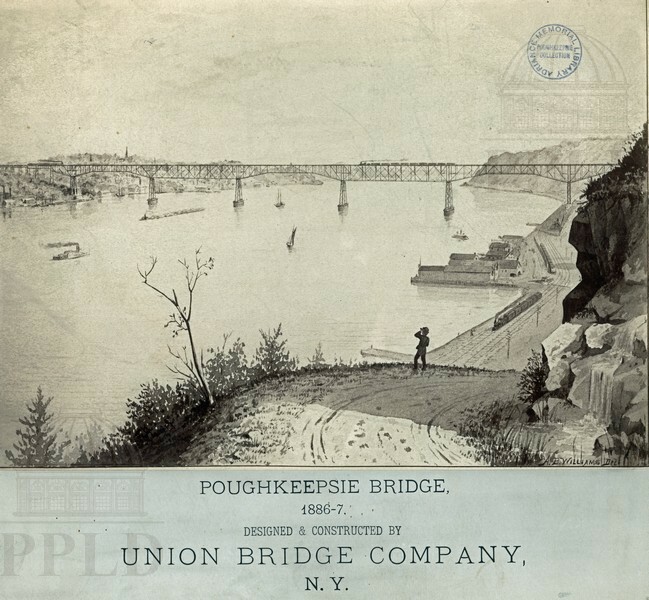 Illustration of the bridge released by the construction company that built it, the Union Bridge Company. 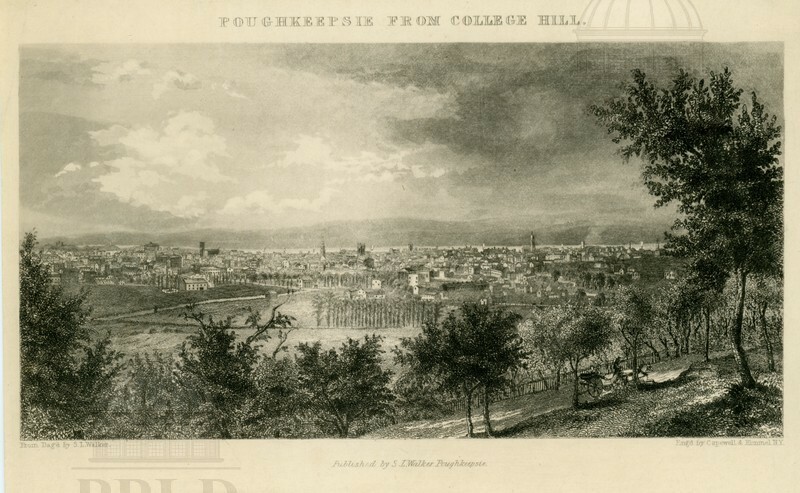 Engraving, based on a daguerrotype, of the view of Poughkeepsie, as seen from the top of College Hill. 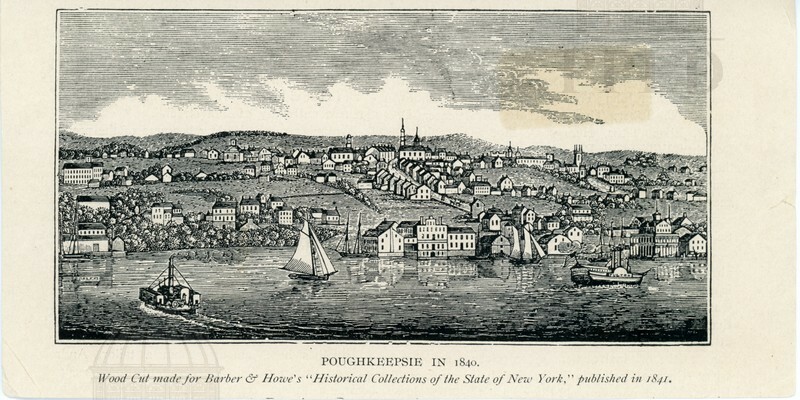 Woodcut made for Harber & Howe's "Historical Collections of the State of New York," published in 1841.